This is a super duper overdue post. 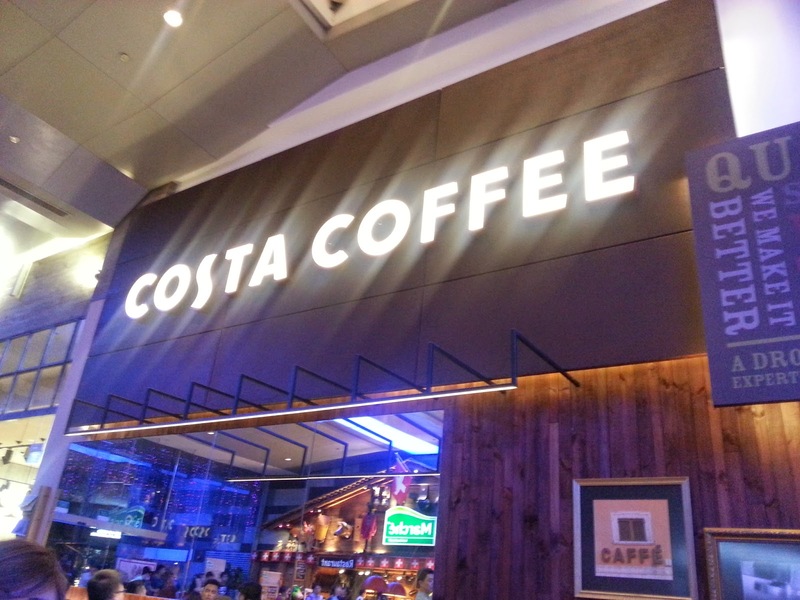 When A was still back in town during her vacations, we decided to drop by Costa Coffee for a cuppa along with R. Always wanted to give this new coffee franchise a try ever since they enter Singapore's market, but couldn't find any coffee kaki to go with. 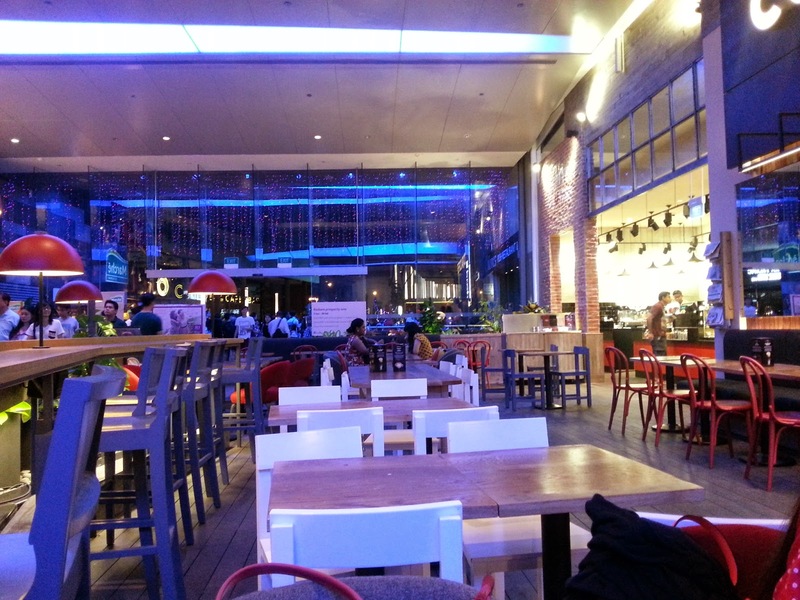 We dropped by the branch at Somerset 313, a really big and open branch that's usually empty. 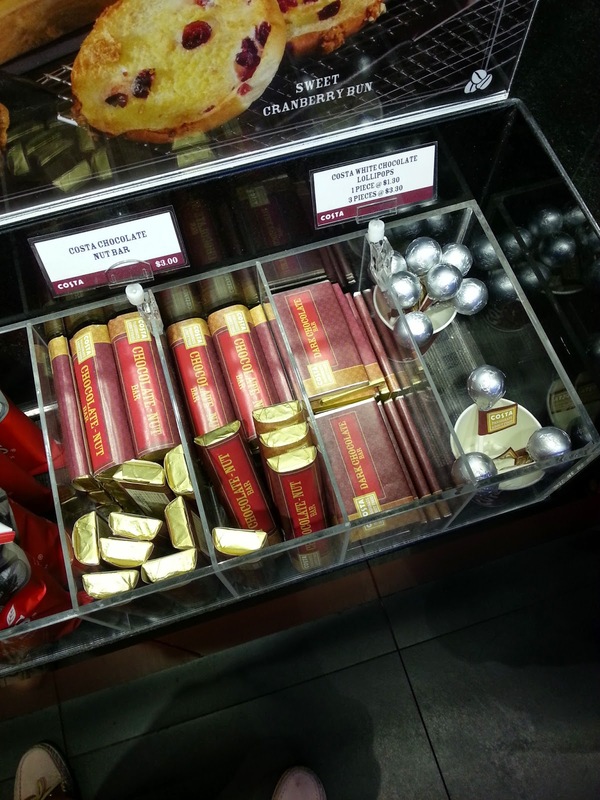 And other than pastry desserts and beverages, Costa also sells chocolate bars! Didn't get any to try though. Might just try one some day. 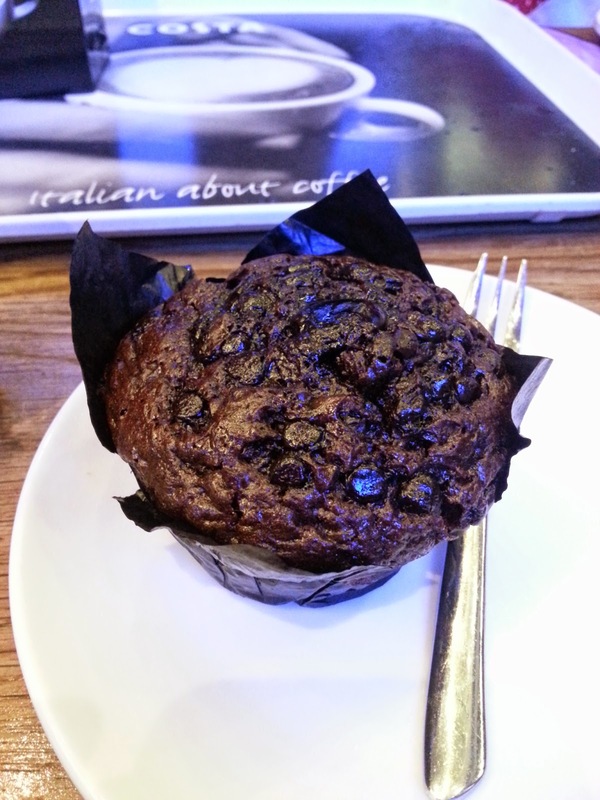 Comparing to Starbuck's chocolate muffin, Costa's is slightly (?) cheaper, but also much smaller. I remembered I almost died on Starbuck's chocolate muffin back then when I ate it along with a cuppa, and towards the last few bites I just gave up on it because I just felt so sickened with the taste. For Costa's muffin, no such issue. The serving size is good. Might stretch my small (yet active) stomach a little pass the usual 40 ~ 50% full limit (for desserts), but won't get so full that I get sickened by the taste. The muffin is pretty dense and rather moist, however, dependent on the 'location' of the muffin. The outer sides tend to be drier while the insides are moist. 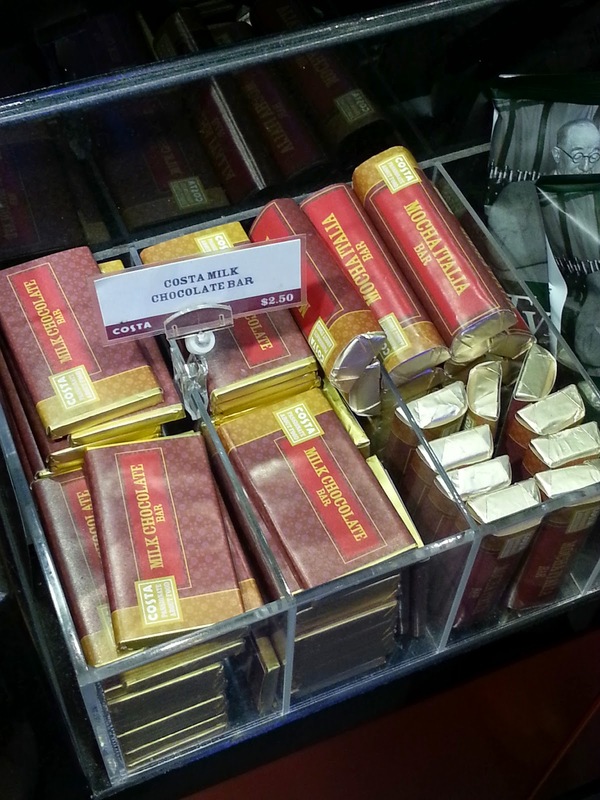 It's also generously packed full of chocolate chips, which guarantees you a rich chocolatey taste in every single bite. 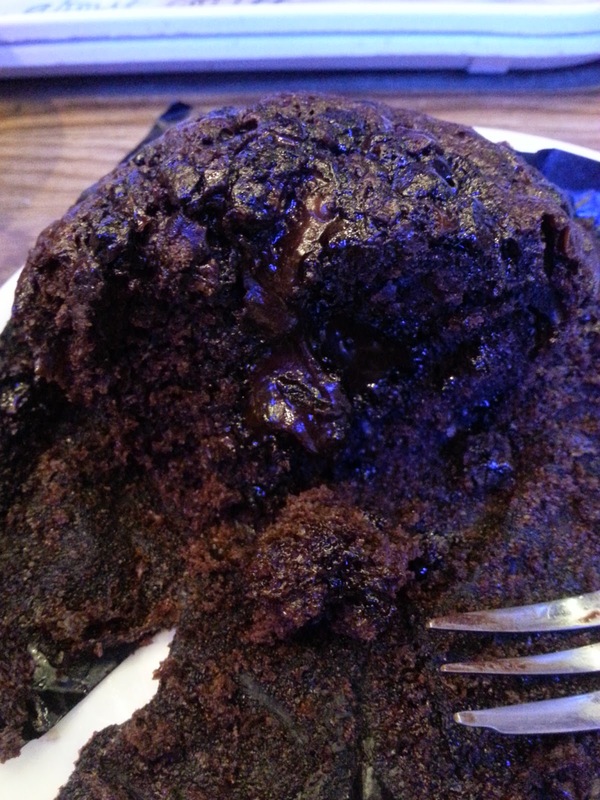 I mean, look that at gooey chocolate centre. Need I say more? 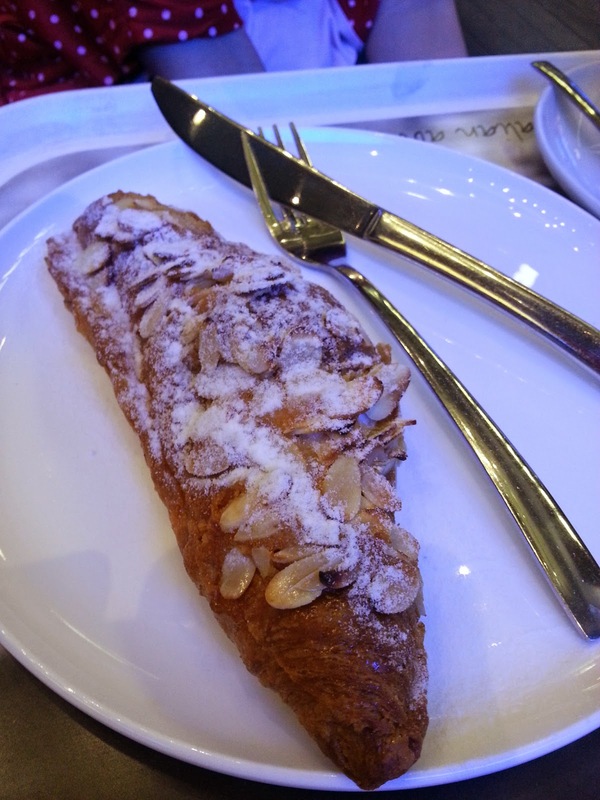 If I didn't remember wrongly, A ordered some almond croissant or something along that line. However, it was pretty disappointing as it's soft, not crisp at all, and hardly has any buttery fragrance to it. Big, flat, and pretty badly done. Tried a bite of this and was quite overwhelmed by the strong cinnamon taste. 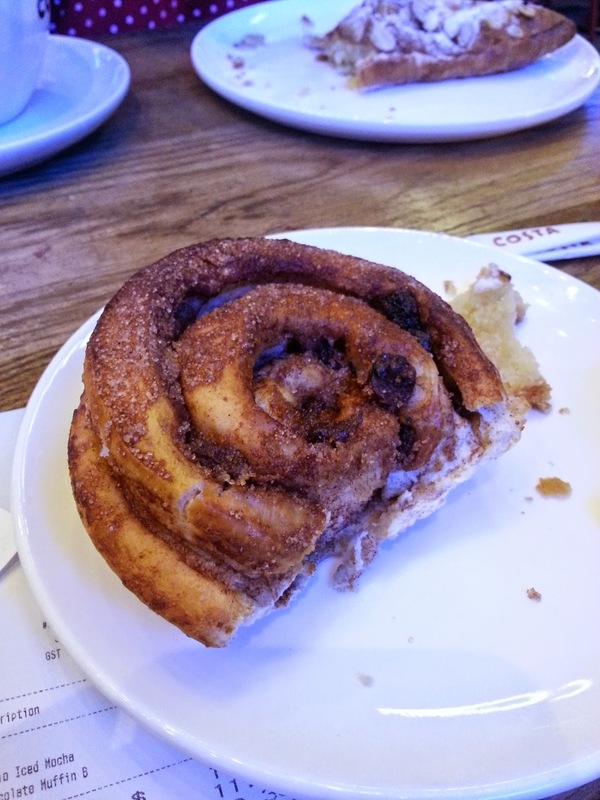 A decent choice, only for the cinnamon lovers. 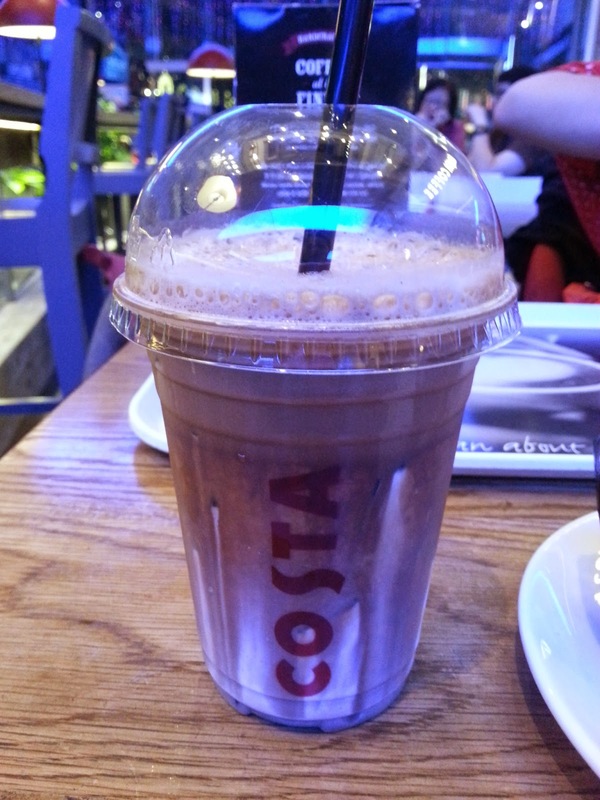 COSTA coffee has always been my favourite !! haha i'm quite surprised you didn't like CBTL though, the iced blended is originally invented by them! but their coffee is pretty weak... bad. i'll only drink their teas or chocolate, never their coffee. there was once i tried their ice blended and ended up with nausea. =.="
haha. i still prefer Starbucks!